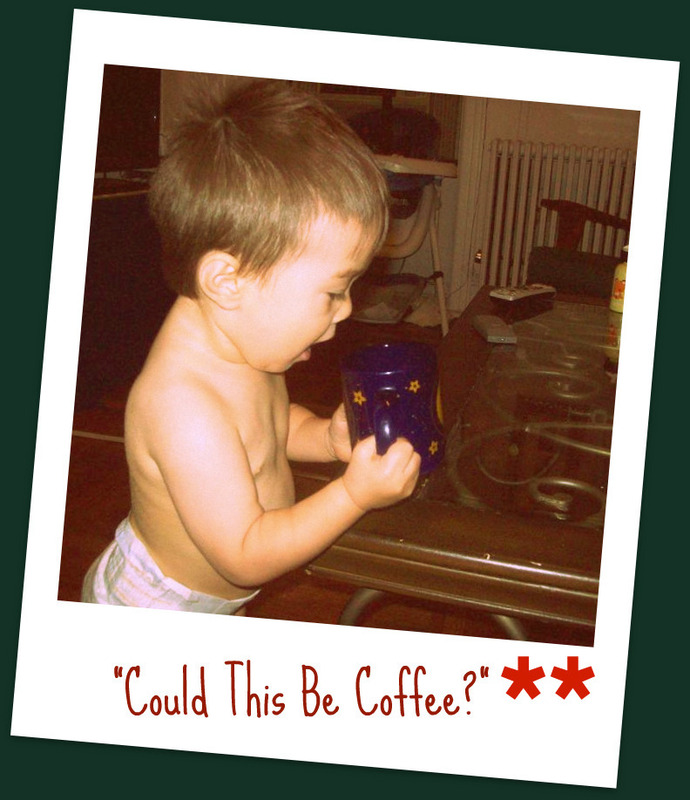 My love affair with coffee began in May 2008 when my son was born. That steaming cup in the morning makes me feel more like a human being than a blob of incoherency. 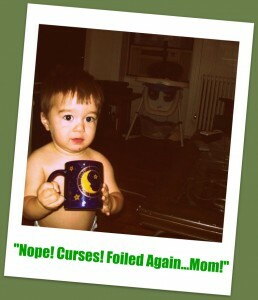 Recently, my son started to take notice of my dear friend, the coffee mug, and his curiosity got the best of him. **Fortunately, the above is just a reenactment of what actually occurred. I placed an empty mug on the coffee table and he went for the mug. 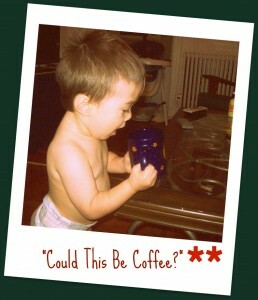 This was done to demonstrate how much he is interested in coffee. One day, when I was in a morning haze, I placed my coffee mug on the coffee table distractedly. I look over and found my son had grabbed the mug and was in the process of taking a giant gulp of my prized beverage; I was horrified. One would think after this experience it would be best to keep an eye on one’s coffee mug more closely. But no, regretfully I report that the very next day he got to the coffee mug again. Since these incidents, I no longer keep my coffee mug on the coffee table. 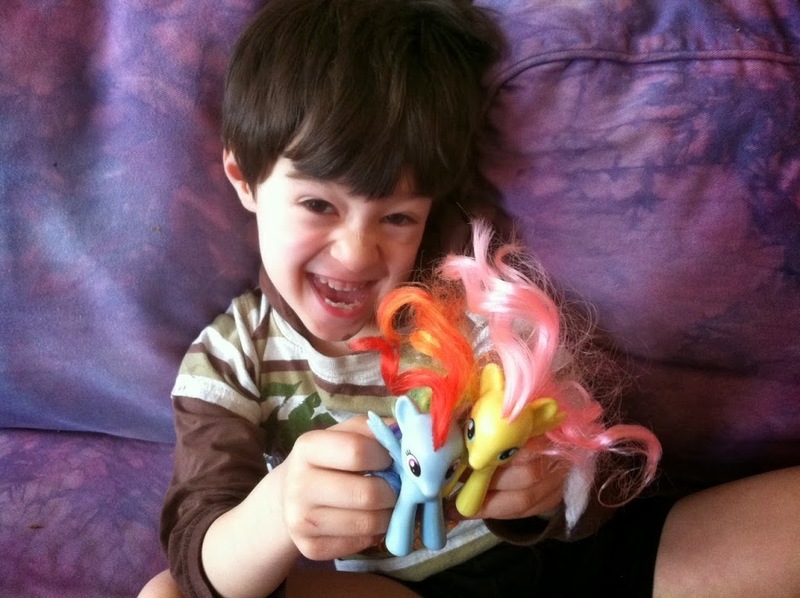 It is hidden in an abstract corner of the room away from little hand’s grasp.